So, we finished up our third weekend in a row doing seminars at RV shows. I think the last time we did three weekends in a row, we swore we wouldn't do it again, yet there we were. That ended a total of six shows in the first eight weekends of the year. Whew. But again, it ain't a bad gig, and we really do enjoy meeting people and presenting the seminars. There are certainly worse ways to earn the cash to enjoy our wonderful lifestyle. Sunday evening, after the Columbus RV Show was in the books, we were picked up at our hotel by Michael & Sandy. They took us to Milestone 229 on the river downtown for dinner. They are on the verge of beginning their full-timing and just got a camphosting job for the summer. They hosted us for dinner last year, and we had another very enjoyable evening. Thanks you two! On Monday, we had a late flight as it was the only direct flight we could get back to Phoenix. We hit the ground around 8:45 Arizona time, and by the time our Uber driver dropped us off, it was 10:00 before we got back to our rig. We decided to leave the unpacking for the morning and pretty much collapsed into our new bed. Ah, it's good to be home. But it wouldn't last. We've scheduled ourselves a bit too thin these first four months of the year, and especially this week. On Tuesday, we were supposed take our rig to APR RV in Mesa to have our Flex Armor Roof re-sprayed around the seam of our front cap. They are the only "Authorized Applicator" west of Texas, and we aren't planning to be in Texas or anywhere east in the next couple of years. When our front cap was removed last summer to repair our frame, they had to cut into the roof. When the cap was replaced, they used regular Dicor lap sealant on the seam, and we've been wanting to make it "seamless" again. The plan was to "camp" in their parking lot so we would be ready to get the unit in first thing on Wednesday. But we just had too much to get done, and we needed some extra time to prepare. So, we decided to get up early and arrive at APR RV when they opened Wednesday morning. We spent Tuesday getting caught up on a few things, and I checked the air pressure in all of our tires. I had to air up a few of them a little - the fifth wheel is easy, but the dual tires on the truck are a pain. It's a good thing they hold pressure pretty well. We also met a couple from Manitoba that was staying there. They are fairly new RVers, and have jumped right into boondocking with their Monaco motorhome and a trailer to haul their motorcycle and other toys. We had a nice conversation before they had to leave to attend to a family matter back in Canada. Before bedtime on Tuesday, I texted John, our host here in Surprise, and asked if we could come into the house for a quick visit and to say goodbye. Since we were leaving before light in the morning, we knew we wouldn't have a chance for final farewells. We gave them a "thank you" card and a gift card to show our appreciation for allowing us to park our rig on their property for the last two months. They said we are welcome anytime. Also, they are going to join us for our Boondocking Rally in Quartzsite, so we will get to see them again in a few days. This morning, Wednesday, we were up at 5:00 a.m. and it was freezing. It had rained last evening and into the night. It was still dark and quite foggy when we pulled out at 6:30, one of the very rare times we've taken the rig anywhere before light. We took a long way around to try to avoid some traffic, but it still took us an hour and a half to go fifty miles with bumper-to-bumper cars in a section of Hwy 101. We arrived a half hour later than planned, but it all turned out okay. We knew we were pushing it to get the roof done this week, but we planned it a few weeks ago, and we wanted to get it out of the way. They won't be able to do some of the touch-up painting, but we're more concerned about having the roof seam taken care of. So, we've got a couple more nights in a hotel, and then we'll be on our way to the desert outside of Quartzsite this weekend to get ready for the Boondocking Rally which starts on Monday, March 5. Well, we arrived in Mobile, Alabama last Monday and suddenly realized that it was Mardi Gras week. I had completely forgotten about Mardi Gras, and that Mobile claims to have been the site of the first American Mardi Gras celebration way back in 1703. So, it's a big deal here. No wonder so many of the rental car agencies were sold out and the hotels downtown were so expensive. But we were able to snag a reasonably priced car, and I had a reservation at the TownePlace Suites off of Airport Road where we have a full kitchen for our 10 days here. Unfortunately, our room had a strong, weird smell and there were no other rooms to move us to. We made it through the first night, and then another room opened up for us on Fat Tuesday. The staff here at the TownePlace Suites have been very accommodating and pleasant. We're not big crowd, big party folks, so we stayed sequestered for the Tuesday celebrations. And, sadly, we were glued to the TV on Ash Wednesday watching reports of the school shooting in Florida. We didn't feel much like celebrating Valentine's Day. On Friday, we drove to the Mobile Convention Center which is a lovely venue that sits on the Mobile River. The downsides are 1) parking is limited (although it was free for the show), and 2) a working railroad track runs between the main access road on Water Street and the parking garage under the convention center. So, if a train comes, you can't get in or out of the parking garage for several minutes. It was the first time for this particular show, and the show was rather small as were the crowds. We had another nice seminar room, but didn't come close to filling this one for most of the seminars. Those that attended our presentations seemed to be pleased with them, however. We did get to see some folks that had attended prior rallies, and we met people that have been following us that we hadn't yet met. It's kind of funny when people start their post-seminar questions with "Now, on your website you say .....". After our Friday seminars, we walked around the show. We didn't see any Class Cs that we hadn't seen before, but we did get our first look at the Vanleigh Beacon fifth wheel. The Beacon is a higher end unit than their Vilano model, and the one on display here was the 39FBB (front bathroom). Though MSRP is in the 120s t0 130s, the actual price is under $100,000. I think the show price on the display model was $92,000. It seems to be a very nice unit and we were impressed with the Goodyear G114 17.5-inch commercial tires (optional) and the cargo carrying capacity of 3,400 pounds with a GVWR of 18,000 pounds. The drawers and cabinets were solid, although we didn't like the shiny sheen that many manufacturers are using on the cabinets now. As big fifth wheels go, this is certainly a nice entry in the under $100,000 market. Other than that, we didn't see anything else that piqued our interest, and it didn't take long to complete our walk-through of the show. After our last seminar on Sunday, we joined Rally alums, Kevin & Judi, for an early dinner. They attended our 2017 Spring Rally, and are new full-timers in their Newmar Mountain-Aire motorhome. They came to our last seminar, and then we met up at the Original Oyster House on U.S. 98 overlooking Mobile Bay. Now, I'm not a big oyster fan, but their Fire-Grilled Oysters were quite tasty. In fact, they were probably the highlight of the meal. We chatted for a couple of hours and learned they are taking their time as we suggest to all new full-timers. They've implemented a policy of staying at least 10 days with each move, and that will serve them well. We can't tell you how many new full-timers criss-cross the country driving several thousands of miles and moving every few days. Burnout is a common thing when moving that fast and that often, and it makes the lifestyle quite expensive as well. So, we've had a pleasant, warm week in Mobile, and we'll be here another three days, and then we'll be off to Columbus, OH for the Columbus RV Show. With three rallies coming up, our hotel time has been used to get some pre-rally prep done. It's only two weeks until our Boondocking Rally. Well, that's it for now. Maybe we'll see a few of you in Ohio. Well, the Minneapolis/St. Paul RV Show ended yesterday and now we are the airport waiting for our flight to Mobile for the Gulf Coast RV Show next weekend. Downtown Minneapolis has a great Skyway system to keep you from having to walk outside in the cold while downtown. Unfortunately, our hotel was not connected. We were only a block from Skyway access, but we were also only a block from the Convention Center. We woke up to temperatures of 2 degrees on Friday, 0 degrees on Saturday, -2 degrees on Sunday, and 0 degrees this morning. Thankfully, the wind wasn't blowing and our short walks weren't too bad. That show was bigger than the other shows we've done so far, and there was a nice selection of RVs. We had a HUGE seminar room with a couple of hundred chairs, and we had big crowds for our seminars. We also had our own A/V guy, Dan, that helped us get our laptop hooked up to the projector and made sure our sound system was working properly. He sat through all the seminars just to make sure we didn't have any technical difficulties. We've never had that before, and it wasn't really necessary, but we appreciated it. On the first day, Friday, we did our usual afternoon full-timing seminar, but then we had a big gap as they changed our last two seminars to 6:00 p.m. and 8:00 p.m. Because the Super Bowl was here last week, this show was cut down to three days - it's usually four. Therefore, they kept it open until 10:00 Friday night. We were concerned that we wouldn't have an audience, but we had a pretty full room which was worth staying late. In between our seminars, we went through the shows and looked at the RVs. We were surprised to see that there were a couple of Leisure Travel Vans, and Linda was thrilled to see the Unity Murphy Bed model that I linked to the other day. Unfortunately, the exterior storage is very, very limited. We could eliminate enough stuff for the interior, but I don't see any way that we could get even the basics we need in the exterior compartment space. We'll continue to look, and maybe in the next five years, there will be more options. Or maybe, if and when we are ready, we'll have something custom-designed. Or maybe not. On Saturday, we had four seminars and left the convention center around 6:30. Then we were picked up by Bruce & Janet who attended our 2017 Fall Rally. They are launching their full-timing adventure very soon as they are in the process of transferring their wonderful Olive Branch Oil & Spice Company. Bruce & Janet took us for a wonderful Italian dinner at Cossetta in St. Paul. It took a little longer than we expected because there was a hockey game happening across the street and traffic was pretty heavy. After dinner we rode by the Ice Palace before returning to our hotel. Thanks Bruce & Janet! On Sunday, we finished with two seminars. We had several followers and a few Rally alums that stopped by and/or sat in on presentations. It was wonderful to get to meet so many folks and see some that we had met previously. Unfortunately, our last seminar had some confusion. Though GSEvents told us we couldn't present our Boondocking/Solar seminar, they hadn't made the change on all the seminar signs posted around the show. The change was made online and in the show programs, but not on the signs, and nobody made any attempt to indicate the change on the signs saying the disclaimer "Schedule subject to change" would suffice. So, lots of people showed up hoping to see that seminar. Again, that has been our second-most popular seminar at the shows, and we had to smooth over the disappointment. After the last seminar, we thanked Dan, picked up our checks, and headed back to the hotel where we collapsed. All we are doing is talking, but doing nine seminars and answering all the questions (including "How do you get your mail?" for the millionth time) is exhausting. It's well worth it and we enjoy it, but that doesn't make it any less tiring. So, we got a good night's sleep and we're heading south to Mobile where we will be for the next ten days. If you are in the area, come see us at the show! Well, it's been a long time since we've posted. We have been a little busy, but it's mostly been just everyday type of stuff. This post is for those that care what full-time living looks like when we're not hiking and visiting beautiful places. So, after the Phoenix RV Show the last weekend of January, I've played golf with John, our host here in Surprise. The first round was a horrible course in Phoenix, and then we played two courses not far away in Surprise - both were much better. And in between, John took me to the opening round of the Phoenix Open professional golf tournament on last Thursday. He is a retired police officer and retired military, so he got free tickets. The weather was gorgeous, and we enjoyed spending a few hours watching how golf is supposed to be played when it is played well. We followed some big names for awhile and got to sit in the stands on the infamous, rowdy 16th hole. Golf lovers will know what that means. But this also reminded me of just how boring it is to watch professional golf in person. Because you can only watch one group at a time, there is a lot of downtime between groups and between shots. The pros take forever to hit their shots, so it's better to watch on TV where they can quickly switch to different groups and different holes while the golfers are pondering everything. Also, it's hard to see the prominent players because everyone follows them. After about four hours, we'd both had enough. In a prior post, I mentioned that Linda learned locker hooking while we were in Tucson. Well, while I've been doing the golf thing, Linda has been working on her rug. She finished it a couple of days ago. 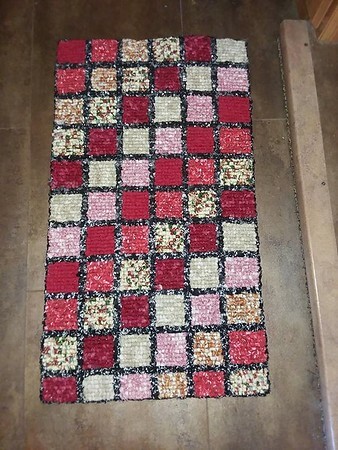 She tore up strips of fabric and then used a special "needle" (locker hook) to weave the fabric into a rug canvas. The link above provides a much better explanation. She's also ordered a kit from Amazon to do a trivet, and she's thinking that might be something fun to teach at one of our upcoming rallies. In addition to locker hooking, Linda has developed another new hobby - getting stink bugs out of our rig. We took on a healthy population of stink bugs - more specifically, brown marmorated stink bugs - in Tennessee. They are an Asian nuisance and were introduced into the U.S. in 1998 in Pennsylvania. They have crept into every seam and nook and cranny. When it is cold, we don't see them, but every afternoon when it warms up, they start appearing. They fly and have sort of a buzz when they fly around. Anytime Linda hears a buzz, she immediately goes in search of the offending pest. She has been capturing them with a tissue and flicking them out the door, because squashing them makes them stink up the rig. At one point, she was concerned that the ones she was releasing were coming back in. So, she started marking all of them with fingernail polish. Fortunately, we haven't seen any returnees. Now, she puts them in a sealed plastic bottle where they eventually expire without emitting their stinky defensive odor. We've had these things for months, and we're hoping they are almost gone. Out here in the desert, it's very quiet so we hear owls hooting and coyotes howling at night. We've seen a couple of roadrunners and there are tons of rabbits and lots of hawks. Linda has been talking to John & Darla's chickens and feeding them on occasion. Well, the other morning, after I left for an early morning tee time, she heard a ruckus and chickens squawking. Unfortunately, two of the three chickens were killed by what we assumed were coyotes. But the next morning, at the same time, the one remaining hen, which was in her pen, sounded the alarm. This time, I ran out and there were two dogs around the pen that took off running. We don't know if they are feral dogs of pets of neighbors, but I know what would have happened to them at the farm I grew up on. Though Linda usually cuts my hair, I had to run some errands and thought I'd knock that out while I was driving around. I needed to fill a propane cylinder and get my six-week blood test, so I also made a stop at a Great Clips. I like their app which shows you where there stores are and the wait time at each location. Also, I can "check-in" from my phone, so I usually don't have to wait by the time I arrive. The next couple of days, Linda headed out to do laundry, get her nails done, and get her hair cut. And laundry day is always grocery day as well. She picked up some supplies for a couple of Instant Pot meals. The Instant Pot is a great substitute for a crockpot while boondocking. While it uses quite a bit of electricity if using the inverter and batteries, she can cook a meal in an hour while we're doing an evening run of our generator to charge our batteries. Well, another two weeks have passed, and it was time to take the rig to dump our tanks. We drove over to Orangewood RV on Sunday to use their free dump station. Making the trip on Sunday made for less road traffic and they don't dispense propane on Sunday, so there were far fewer obstacles at the RV dealership to maneuver around. 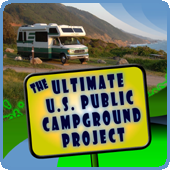 Back at our boondocking spot on John & Darla's property, Linda researched a few small Class C and large Class B motorhomes. We're nowhere near ready yet, but we were both impressed with this Leisure Travel Vans Unity Murphy Bed model. They seem to have thought of a lot of little things that we certainly noticed in the video. Regarding our current rig, most people know that we had Jennifer & David at RVRoof.com in Green Cove Springs, Florida do a seamless, spray-on roof for us back in November of 2013. Well, this past summer, our friends at RVs For Less had to cut into the roof to remove the front cap to repair our frame issue. They re-sealed the cap seam with standard lap sealant, but we've been wanting to get it re-sprayed. Note: Jennifer has asked us to put the word out that she needs a few newer testimonials and photos. So, if any of you out there have a Flex Armor roof done by RVRoof.com or one of their affiliates, please send some feedback to Jennifer using their contact form. Though they only had one location back in 2013, now there are 10 places across the country that apply their Flex Armor roof, and one of them is here in Mesa at APR RV. They had a booth at the Phoenix RV Show, so we stopped by and spoke with Michael who gave us the manager's card. We called and spoke with Cindy and set an appointment for the week we get back at the end of February. Cindy was a pleasure to speak with and she asked me to send her some photos of the work to be done. So, I got out the big ladder and climbed up on the roof to take some pics. We also have a vent cover with a hole in it, probably from pushing our overhead clearance a little too close getting in and out of campsite back east. APR RV can also take care of that for us. While I was on the roof, I wiped off the solar panels as a little dust had built up since the last time I did it a couple weeks ago. We can tell the sun is getting higher in the sky each day as the amps we are getting in from our panels is gradually increasing. Our 2018 Boondocking Rally has been sold out for quite some time, and we'll be heading toward Quartzsite immediately after we get our roof re-sprayed. We've had some issues with our 2018 Reunion Rally, but we think we have most of those worked out. They did request us to close registration a little early so they could release some of the sites we had reserved. Sounds like it's going to be a full RV park. One bit of really good news is that, as of this week, we have secured a team to come to our 2018 Spring Educational Rally to do wheel-by-wheel RV weighing. We strive to provide that service whenever we can, so we're glad the folks at RV Weigh are able to fit us into their schedule. They will be arriving on Tuesday of the Rally and will be setting up appointments on Wednesday afternoon after our seminars for folks to get weighed on their departure days. More details to come. Though our western educational rallies are typically smaller than those we hold in the east, we've just gone over 100 people, so we're pretty excited that we're going to have such a good turnout. So, we've got the Minneapolis/St. Paul RV, Vacation, & Camping Show this weekend (Feb. 9 - 11), and then we fly to Mobile for a new show - the Gulf Coast RV Show in Mobile, AL (Feb. 16 - 18). This is our most southern RV show, so we've planned to spend most of our time in Mobile between the shows. 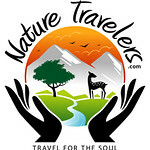 Then we fly to the Columbus RV Show (Feb. 23 - 25) to finish the month. Since we'll be gone two and half weeks, we decided to shut down the propane in our rig. We cut down the things that needed to be refrigerated so we could turn off the RV fridge completely. John & Darla are graciously allowing us to plug in our small "back-up" fridge in their shed, so we moved what few items we had left into there. Well, that's about it. Other than the above which has kept us somewhat busy, we've been doing a lot of reading. Oh, and our new RV mattress is working out great. So, we've been keeping ourselves amused for the last week and a half and now it's time to go get paid for having fun talking to RVers. Hope to see you at one of the RV shows or upcoming rallies.